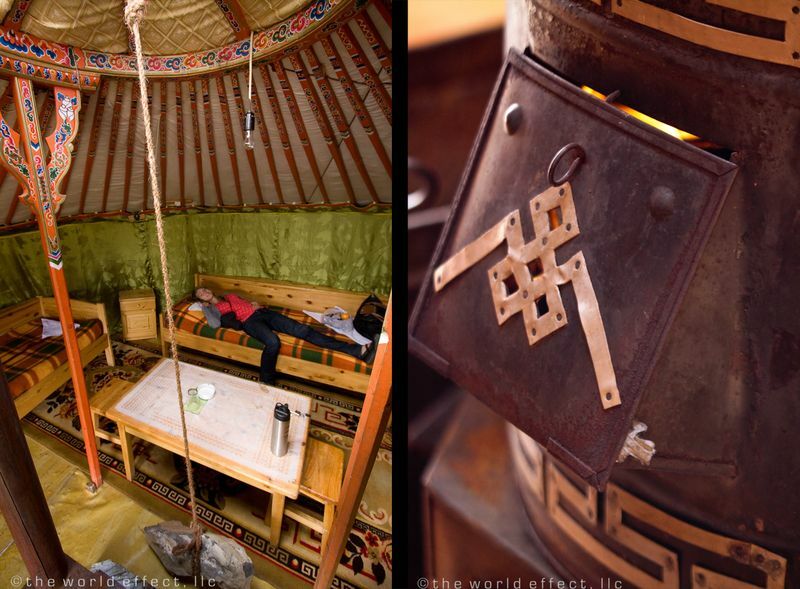 I am not sure if I could be a nomad and live my whole life in a ger but I would have enjoyed staying longer. 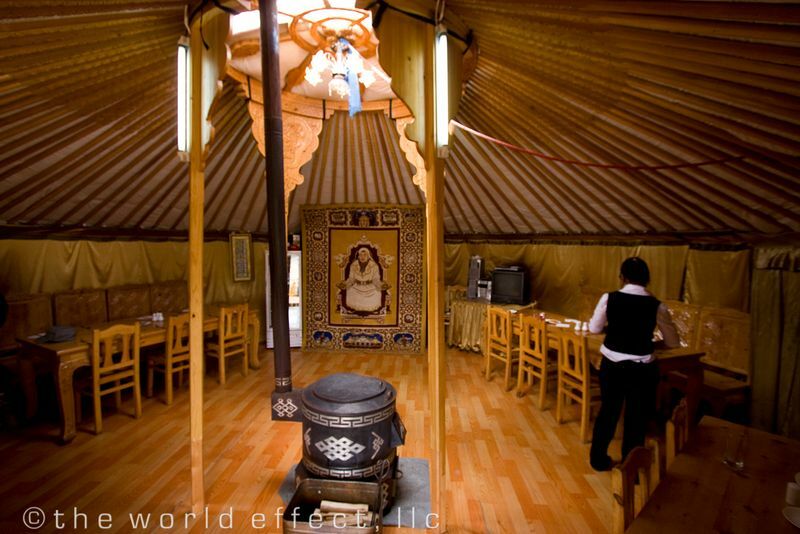 Beau and I stayed in a ger hotel for two days in the Terelj National Park. 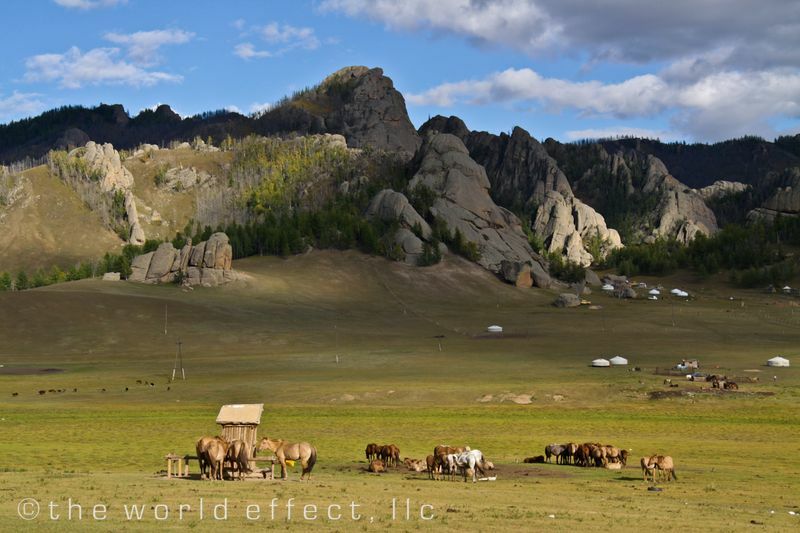 Terelj National Park is just 1.5 hours outside of Ulaanbaatar. The hotel had 12-15 gers arranged on permanent concrete platforms. The hotel also provided a restaurant and bathroom facilities in separate structures. Each ger was decorated differently in the traditional style. 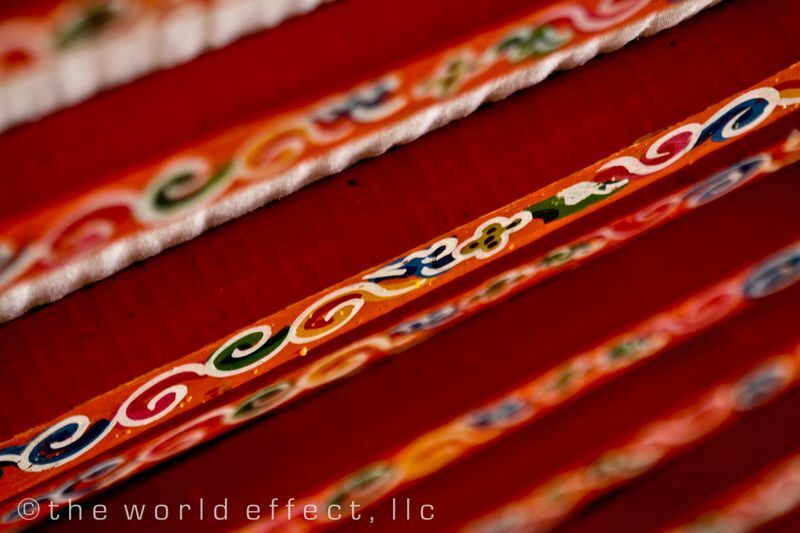 The interior of the gers' walls were covered in decorative fabrics and the interior wood supports were painted with decorative patterns. 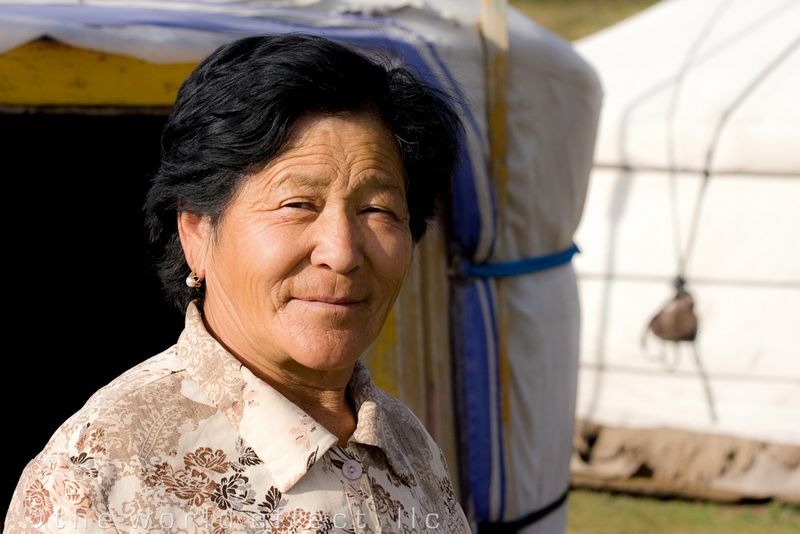 If you are not familiar with gers, they are movable structures that the nomads live in on the plains of Mongolia. 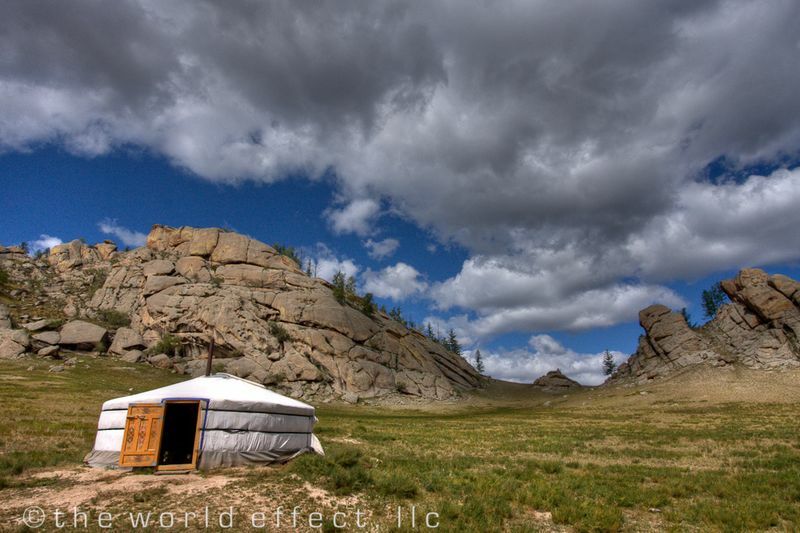 Mongolians use these structures so they can move with their herds to new grazing. The walls are designed to be collapsible like an accordion. 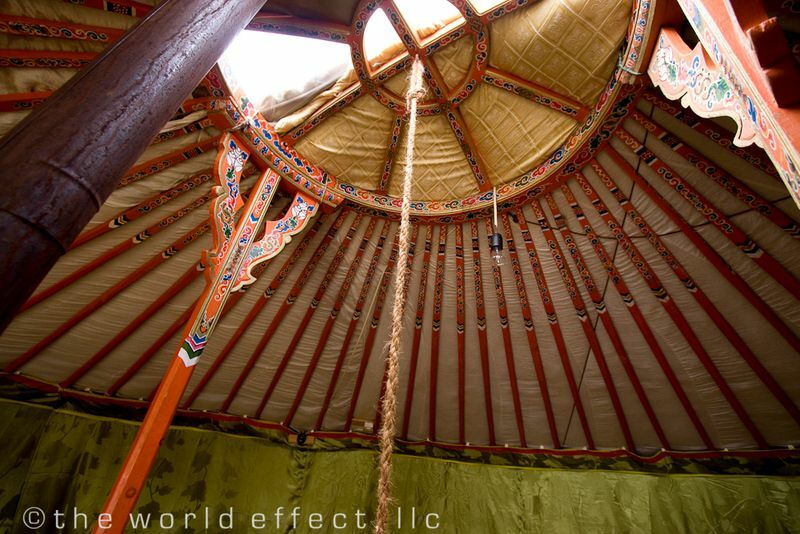 The roof is made up of layers of wool felt, goat or yak skins and wood supports. Recently, people have been lining there roofs with plastic to protect themselves more from rain. In the past the family would remove the wool felt after the rains and let it dry in the sun on the grass. In the center of the room, there is an opening or flap that is controlled by a pulley system and held in place with a large rock. This allows the space to get fresh air. Also in the center of the room is a wood burning stove for heating the space and cooking. 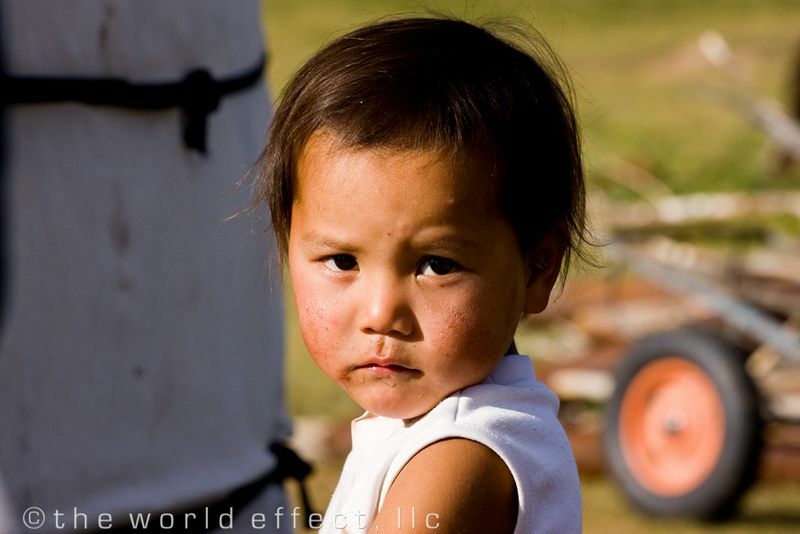 Beau and I jumped at the opportunity to visit a local family and observe the nomadic lifestyle. 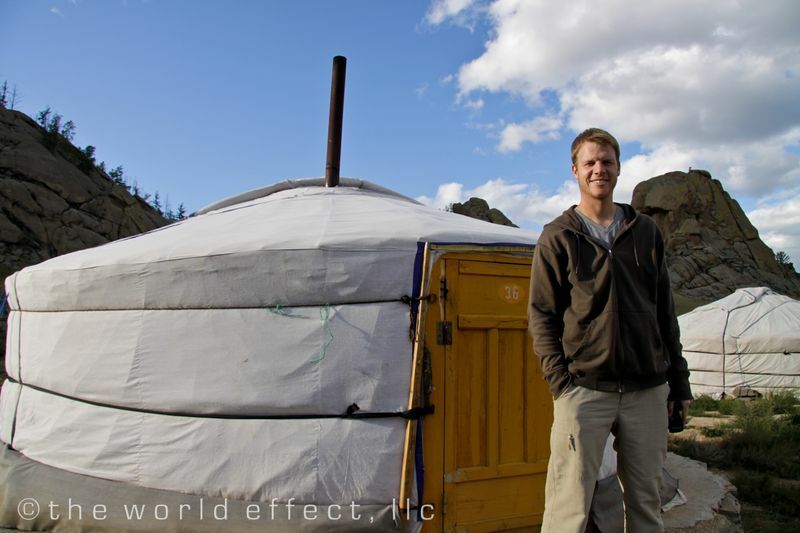 Seeing nomadic life up close was very different than we had imagined. 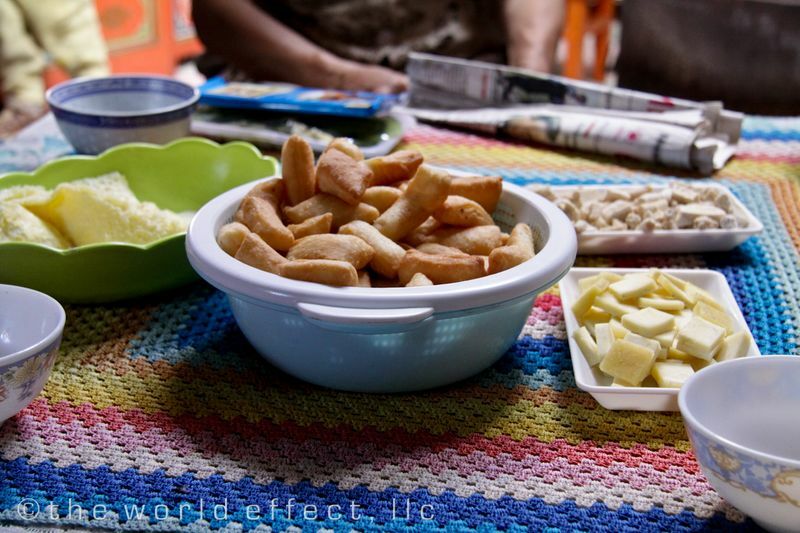 Our host family was very kind to us and offered us several traditional homemade food items from yak's milk and fat. We have decided that fermented yak curd is an acquired taste but we ate it with a big smile to show our appreciation. We also observed that technology has found a place in this homestead and actually in most gers now. Powered by a generator, the ger was equipped with a frig, tv, and lights. The sound of nature has now been paired with the hum of machines. It was an interesting contrast to experience. We are grateful for wonderful people like Mrs. L that let us learn from them. Next time we will have to stay a week!